WikiCamps is the ultimate camping companion, whether you're heading away for a weekend camping trip or planning a big adventure, WikiCamps will be your guide. The best part is, it works completely OFFLINE so you don't have to worry about phone signal or a WiFi connection. Simply download all the content (and map) to your device before you go and you'll have it in the palm of your hand, no matter where you are! 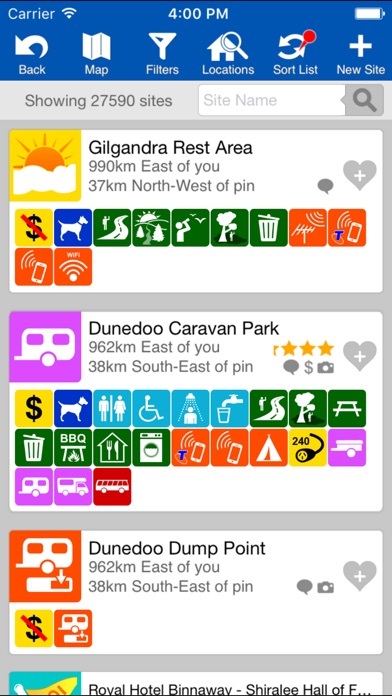 WikiCamps is a crowd sourced database of campgrounds, caravan parks, backpacker hostels, day stops, POI's, dump points, and information centres. Sites are added, modified and shared by thousands of WikiCamps users like yourself, making it THE LARGEST AND MOST UP-TO-DATE database available in one app! The database is always growing and constantly being updated with the latest site details, reviews, prices and photos. 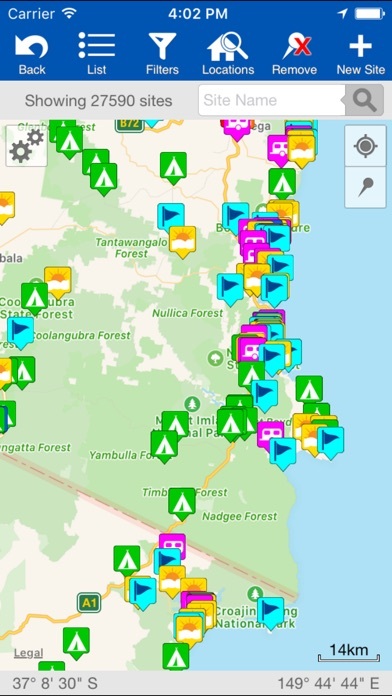 With over 32,000 site listings, join the number #1 camping app in Australia and start the planning your next adventure today! WikiCamps makes it incredibly easy to find sites. Simply bring up the site list to see sites nearest to your current location, or use the map screen to see exactly where they are on a street or satellite map. Then tap a site to bring up its details page. The site details page shows icons representing features the site has to offer, such as toilets, showers, power, pet friendly, and so many more! It also shows the name, address, contact details, a user rating, user reviews, prices, photos and even a handy 7 day weather forecast. You can also use the site filters to narrow down your results and only show sites relative to your needs. Eg. Must have toilets, must be pet friendly, has power available, etc. Add sites to your favourites to keep track of places you want to visit! Sign up for a WikiCamps user account to sync favourites across multiple devices. Create and plan multiple road trips using the built-in trip planner. Add sites to your trip, update your progress as you drive, then share your trip with friends and family. MORE FEATURES INCLUDED! · Use the handy camping checklist to help with packing for your next adventure. · Tired of trying to guess where to point your satellite TV dish? We've made it simple with the satellite dish pointing tool. This amazing tool makes aiming your dish a breeze! It works out the azimuth, elevation and LNB rotation instantly. You can also see the satellite right on your phones camera screen and see exactly where it is positioned in the sky in real time! · Chat with other WikiCampers in our interactive chat forum. · And so much more! Very handy. Buy it if you're road tripping in Aus. - autor:Seripham - title:Worth the money! Great affordable camping guide to Australia! What a great affordable camping guide to Australia! 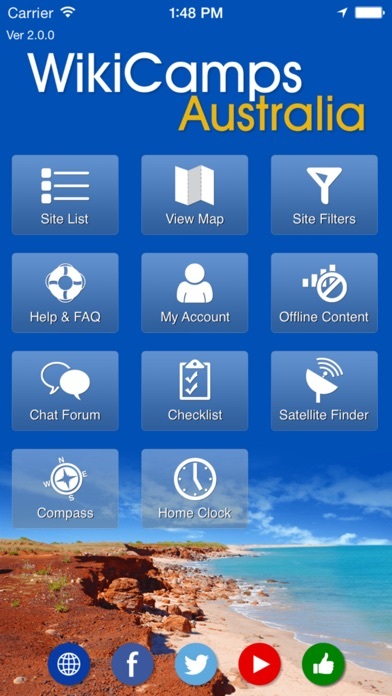 Camps Australia Wide has an app that I wanted to get but couldn't afford. This app has been perfect and cost was a fraction of the price. - autor:Kerplode - title:Great affordable camping guide to Australia!